Home » Science Notes Posts » Chemistry » Chemistry Notes » What Is a Proton? 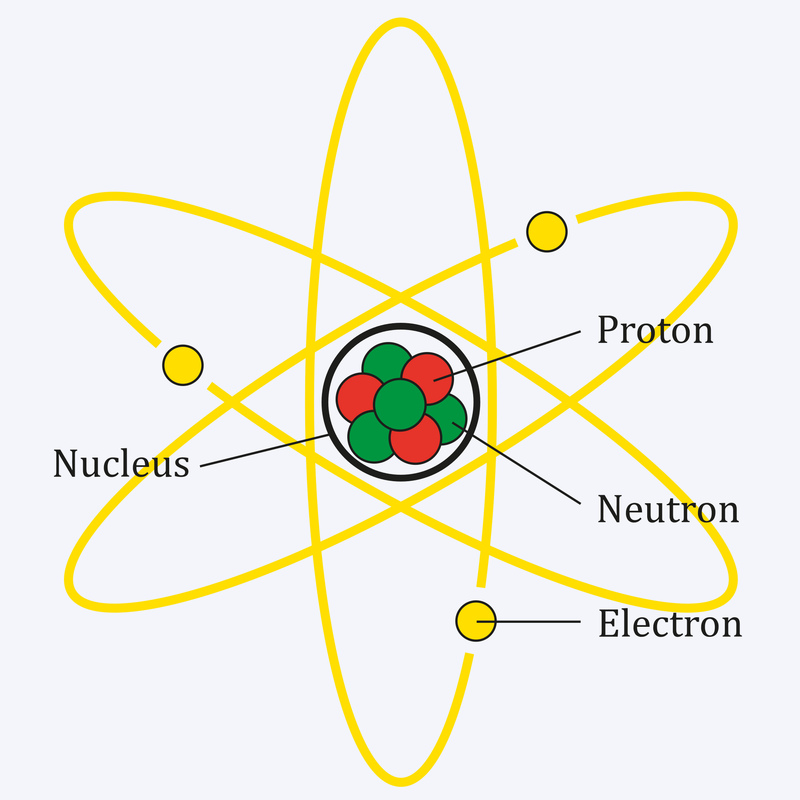 Atoms consist of smaller particles called protons, neutrons, and electrons. 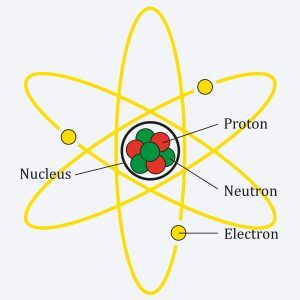 Here is the definition of a proton, its electric charge, where it’s found in the atom, and a collection of proton facts. A proton is a subatomic particle with a mass defined as 1 and a charge of +1 (positive charge). A proton is indicated by either the symbol p or p+. The nucleus of every atom contains protons. The number of protons of an atom of an element is its atomic number. Because both protons and neutrons are found in the atomic nucleus, they are collectively known as nucleons. While the positive electrical charge of protons causes them to repel each other, when protons and neutrons get close enough to each other, the strong nuclear force overcomes electrostatic repulsion. This allows them to bind together. Protons, like neutrons, are hadrons. A proton consists of still smaller subatomic particles called quarks. Each protons is composed of three quarks (2 up quarks and 1 down quark). The term “proton” is a Greek word that means “first.” Ernest Rutherford first used the term in 1920 to describe the nucleus of hydrogen. Although protons weren’t named until the 20th century, the existence of the proton was theorized in 1815 by William Prout. Free protons exist. The nucleus of a hydrogen atom or the H+ ion is an example of a proton. Regardless of the isotope, each atom of hydrogen has 1 proton; each helium atom contains 2 protons; each lithium atom contains 3 protons and so on. Because opposite charges attract each other, protons and electrons are attracted. Like charges repel each other, so two protons exert repulsion on each other. The amount of attraction between protons and electrons is equal in strength to the amount of repulsion between two electrons. Protons are stable particles that do not decay into other particles. However, some grand unified theories (GUTs) predict protons decay within 1031 and 1036 years. Free protons are common, often formed when sufficient energy is available to separate protons from electrons. Free protons are found in plasma. About 90 percent of cosmic rays consist of protons. The radioactive decay of free neutrons (which are unstable) may produce protons, electrons, and antineutrinos. Basdevant, J.-L.; Rich, J.; M. Spiro (2005). Fundamentals in Nuclear Physics. Springer. p. 155. ISBN 978-0-387-01672-6. ← Is Spontaneous Human Combustion Possible?